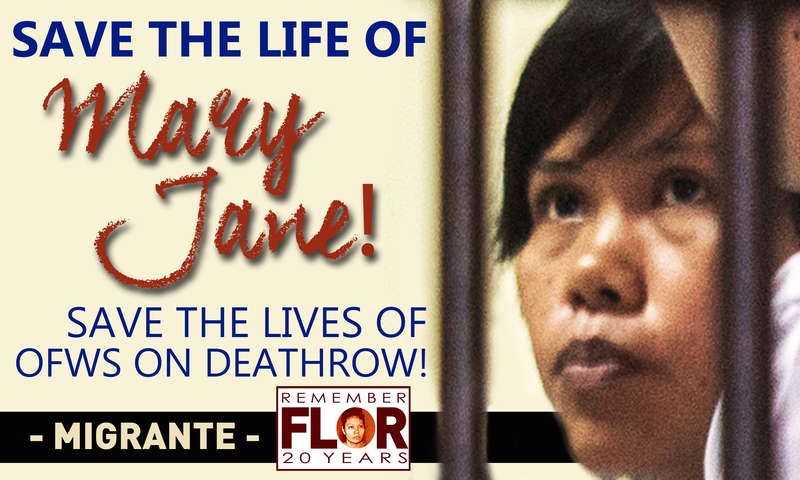 Mary Jane Veloso family still awaiting Ph gov’t action to provide complete information & transparent update, copies of crucial court files, & link to embassy-appointed lawyer retained only after her conviction. Ph rights lawyers of Mary Jane family have linked up with Indonesian & foreign lawyers, support groups to cooperate & collaborate with all moves to stop or stay her execution. Her family lawyers & supporters are additionally appealing to UN Human Rights Council to exercise moral suasion & ask Indonesia to stop the impending execution. This entry was posted in News and tagged Mary Jane, Mary Jane Veloso. Bookmark the permalink.